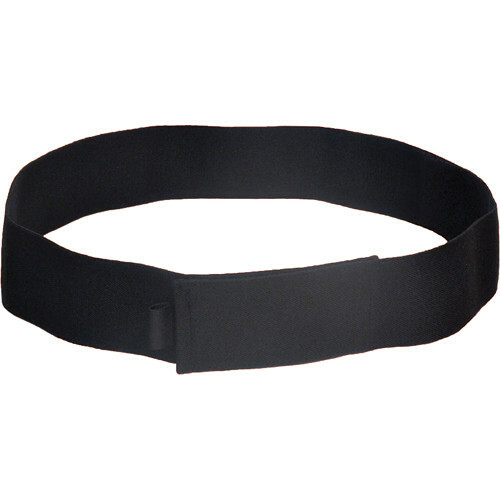 The black Wireless Mic Belts WMB Belt for Belt Pacs (32") allows you to wear a wireless microphone transmitter within a WMB custom fit belt pac (sold separately). It is used to conceal or camouflage your wireless mic transmitter for stage and screen purposes. The belt is made from 2" woven elastic and features a 4" hook and loop fastener for closure. The belt is 32" long, and can stretch an additional 4" for expanded comfort. Box Dimensions (LxWxH) 6.8 x 3.6 x 1.0"
WMB Belt for Belt Pacs (32", Black) is rated 4.9 out of 5 by 8. Rated 5 out of 5 by Sound Mixer from Great waist bands I bought these to use as waist bands for hiding lavalier transmitters. Also to avoid sweat and moisture. Works well. I bought a whole set and they are great. Rated 5 out of 5 by Larry from Was exactly what I needed Ordered this after the shoulder harness didn't work for what I needed. The mic pouch fit perfectly and this fit around my midsection with discomfort. Rated 5 out of 5 by Jeebert from Wireless Belt Pacs Very handy piece of equipment. You may not use it a lot but when you need it, it saves a lot of headaches. Rated 4 out of 5 by JR from Great Mic belts These belts come in different sizes and colors. The Velcro allows for custom fitting. Rated 5 out of 5 by Cee from Chose this one Strong, not too tight. (shorter one was too tight). This is perfect. Rated 5 out of 5 by Ro from Great belt Great belt, very usefull and easy to use.